This 1994 Saab 900 S is equipped with a 2.1L inline 4 cylinder engine and has only 22k miles! The car's limited use is apparent from the impeccable quality of the interior. The heated leather, power seats, and wood-grain dash make this car feel like it is still brand new. 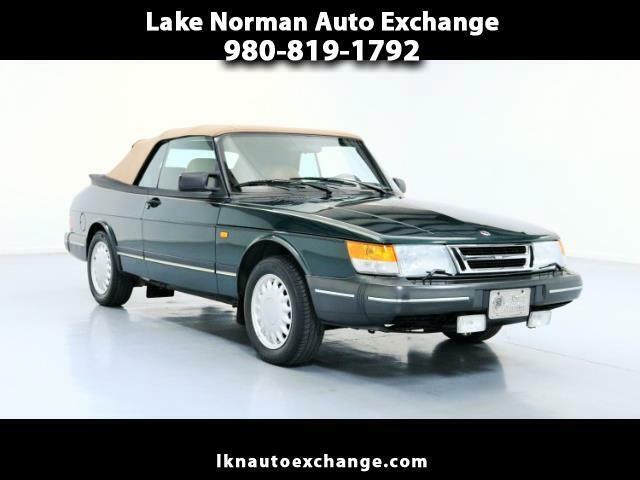 With the manual transmission and the convertible top, this Saab 900 S is a blast to drive! It has a clean Carfax with no accidents or damage reported, has been service recently, and is available to test drive at Lake Norman Auto Exchange. For more information, contact John at 980-819-1792. Message: Thought you might be interested in this 1994 Saab 900.